My brother works in film and just recently got a drone. Watching him fly and livestream on Facebook from his drone got me thinking about the technology and its relation to our industry. We talk a lot about automation here on the blog and one of the next frontiers is certainly going to involve drone technology. From making movies, to delivering packages to your front door, all the way to extreme drone racing; we're on the cusp of some of the biggest changes in automation technology in years! 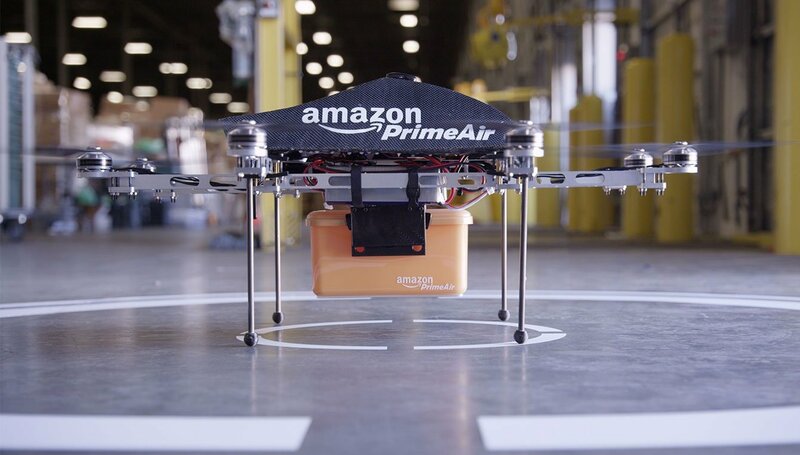 Amazon Prime Air is patiently waiting to be cleared for take off by the FAA and just completed its first beta trial run in the UK. And just this month, the U.S. Department of Transportation (DOT) announced a new committee focused on the future of automation (specifically, autonomous driving, drones or other self-guided modes of getting around). The committee is designed to help the DOT learn from industry experts regarding how it should be shaping policy and research in these emerging fields.